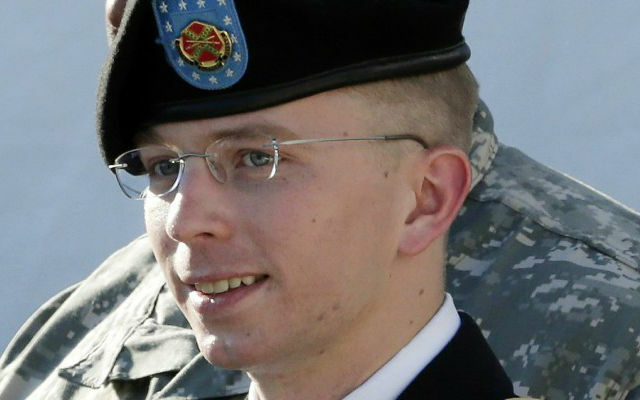 ← Bradley Manning v USG cont: Whistleblower Defence under Threat. 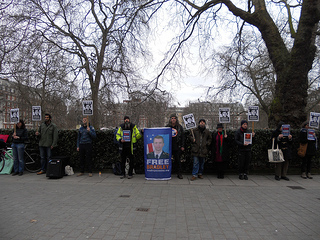 Bradley Manning: No speedy trial this – US EMBASSY, LONDON 16th JAN – be there! 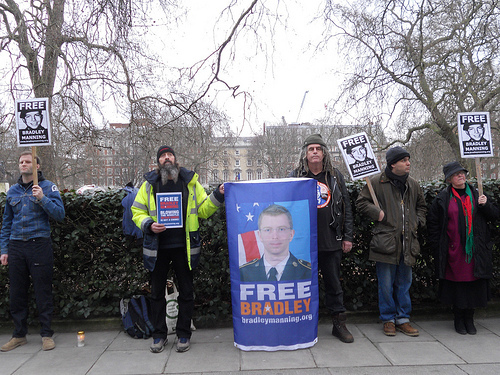 Come and show solidarity with Brad on Wednesday along with VFPUK&I and others, as he appears in court for his next pretrial hearing – Weds 16th – Thurs 17th Jan. 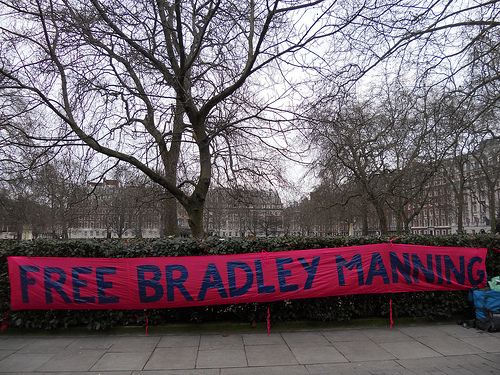 Please make and bring any placards, banners you can to demonstrate what a disgrace it is that Bradley will have spent more than three years in pretrial imprisonment by the time he gets to be tried in this court martial. 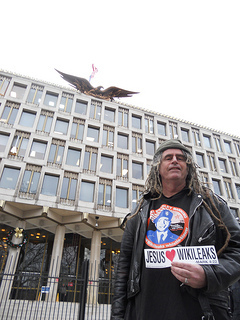 Focusing again, in this place and at this time, on the shocking video that more than anything else came to symbolise the what and why of WikiLeaks and the need for courageous whistleblowers like Bradley Manning, combines at least four objectives. The last gathering at the Embassy in London was on Tues 8th Jan and was pretty international, with no less than nine countries represented! 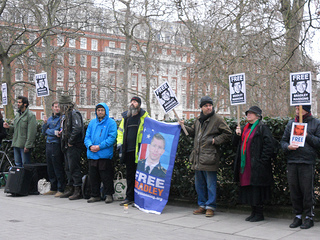 British veterans of the Iraq and Afghan wars, former anti-war prisoners, an activist recently returned from Afghanistan joined other anti-war activists outside London’s U.S. embassy as Bradley Manning was brought to a military tribunal in Ft. Meade Maryland on Tuesday. The international grouping included folks from Australia, England, Ireland, Italy, Malaysia, Netherlands, New Zealand, Scotland and the U.S. 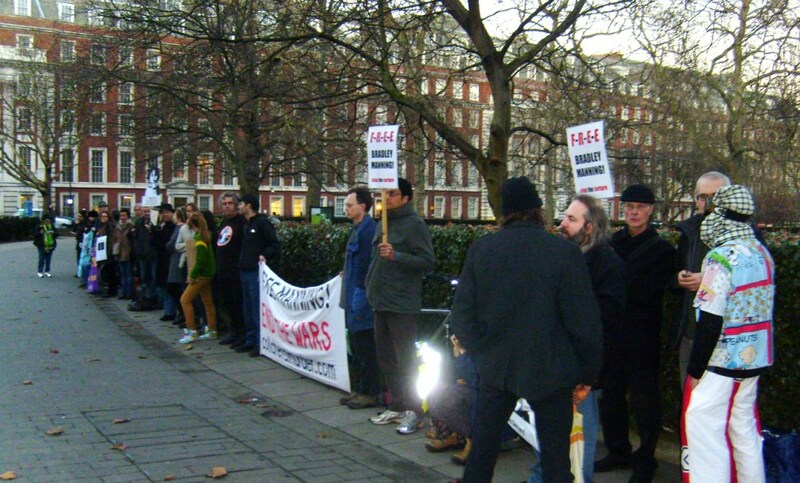 The grouping initially lined up silently facing the U.S. embassy demanding the immediate release of Bradley Manning as the audio of http://collateralmurder.com/ rang out. The anti-war activists then formed a circle to hear speeches regarding the nature of Bradley’s pre-trial hearing underway at Ft. Meade/ USA and reflections on the ongoing wars on the people of Iraq and Afghanistan, the need for solidarity for Bradley Manning and Julian Assange. 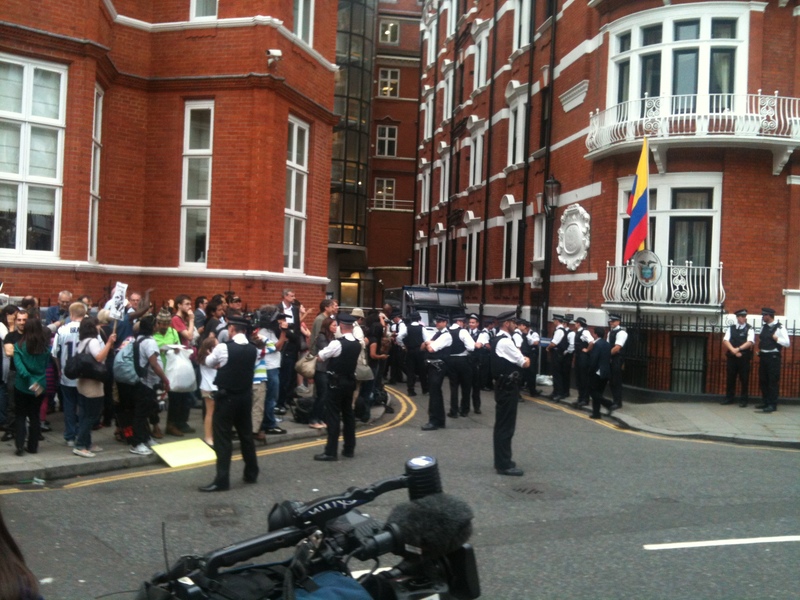 Following networking, activists then proceeded to the Ecuadoran embassy where they joined the daily (2pm-5pm) vigil in solidarity with Julian Assange surrounded by Met Police for the past 6 months…. This latest hearing – January 16 and 17 – is the continuation of the defence motion to dismiss the charges for lack of a speedy trial. 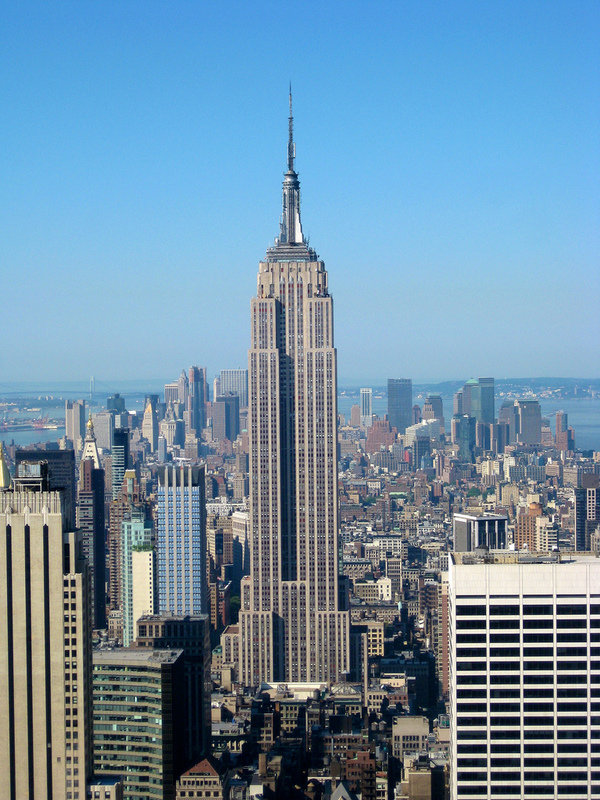 To put this amount of time into perspecive, it took only 410 days to construct the Empire State Building. By the time the Government actually brings PFC Manning to trial….. the Empire State Building could have been constructed almost three times over. 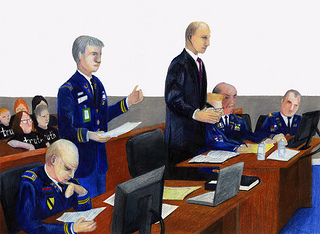 ………the Defense will argue that the military judge should dismiss this case with prejudice due to the Government’s abject failure to honor PFC Manning’s fundamental speedy trial rights. This motion has, of course, become even more poignant since the last hearing when we heard that, yet again, the trial has been postponed, and that the new date is not till June – June 3rd – and it is even more important, if anything, since we heard that, although Judge Lind ruled (in a fairly awful judgment) that there had been ‘unlawful pretrial punishment’ while Brad was at Quantico, she wasn’t actually going to do a whole lot to compensate Brad for this. The new date means that Brad will have been in prison awaiting trial for THREE YEARS, which is pretty damned outrageous. 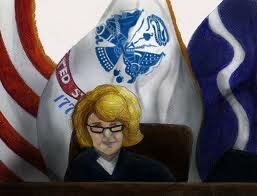 Let’s hope Judge Lind can agree with that…. We should also be getting a ruling at this hearing on the prosecution’s motion (argued at the previous hearing; 8th – 9th Jan) to prevent the defence from presenting evidence (in the ‘merits’ part of the trial) as to Brad’s ‘whistleblower’ motives and respecting the mad ‘over-classification’ of documents in the US. If the rulings are in favour of the prosecution it means that the heart of the defence against the actual charges is knocked out – ie this evidence cannot then be presented to argue for Brad’s innocence of charges against him. 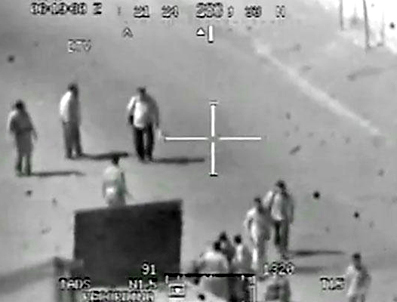 The defence has argued that the argument for not convicting Brad (in particular of the crazy charge of ‘aiding the enemy’) rests on presenting the evidence of his motives and also showing (from over-classification evidence) that he understood that what he was releasing into the public domain was not harmful to the national defence of the USA. It DOESN’T mean, however, that if the judge rules that these things cannot be argued to determine Brad’s guilt or innocence, that this evidence is inadmissable when the Judge comes to pass any sentence in the event of any conviction – it CAN be still be used as mitigation. The trial is scheduled to occur, tentatively, on Monday, June 3. 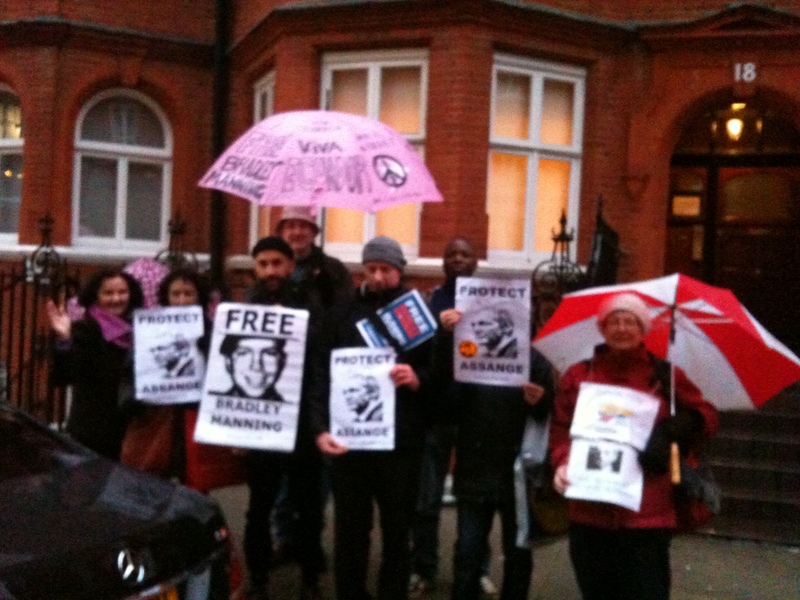 1 Response to Bradley Manning: No speedy trial this – US EMBASSY, LONDON 16th JAN – be there!